SALISBURY, Md. – The president of a public school board in southeastern Maryland generated considerable attention and criticism when he recently took issue with a claim from a textbook that his school district might soon use for history classes. Ron Willey, president of the Wicomico County Board of Education (WCBE), has served on the school board since mid-2007. According to his professional profile on the school’s website, Willey has had well over 40 years of experience in the Wicomico County Public School System, which educates approximately 15,000 students. He is also a member of a local Nazarene church. 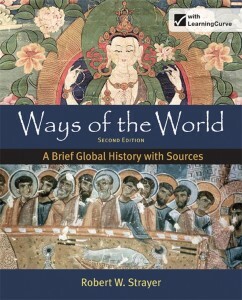 Recently, WCBE members met to discuss a history book titled Ways of the World: A Brief Global History with Sources. The book is designed to give students the “big picture” of world history, and is currently under consideration for usage in Wicomico’s 11th and 12th grade Advanced Placement classes. However, Willey recently voiced his disapproval of a sentence in the very first chapter of the history book that mentions evolution. Later in the same paragraph, the book’s author asserts that the “evolutionary line of descent” of humans and chimpanzees “diverged” 5 to 6 million years ago. After the board meeting, he further clarified the reason he believes Ways of the World misrepresents current scientific thinking. The board is set to officially vote today on whether or not to use the history textbook, but Willey’s single objection has already generated a swirl of controversy. Starlin Weaver, associate dean of the Seidel School of Education and Professional Studies and a science educator at Salisbury University, argues that the textbook’s claim is accurate, because—according to her—“science says” evolution is true. “Most scientists do believe that evolution is theory supported by lots of evidence,” she stated, according to The Daily Times. However, others have been strongly supportive of Willey’s statements, including several commenters on news sites who want more objectivity in public school classrooms.